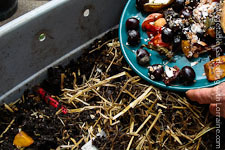 Worm composting, or "vermicomposting" is a fun and easy way to generate the most nutritious compost possible for your vegetable garden. 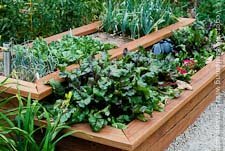 By using a worm bin, you can enlist the help of nature's professional composters, and turn garbage into vitamins for your garden. Because the worms speed up the process, worm composting takes a fraction of the time of traditional composting. What is left behind after the worms get done eating your garbage is not technically compost, but rather “worm castings”, or worm poop. 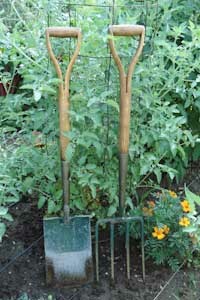 Worm castings are a much more concentrated nutrient source for plants than traditional compost -- they are sort of like “distilled” compost. Worm composting is a fabulous complement to vegetable gardening, especially in the wintertime, when it gives a lonely gardener something to nurture! 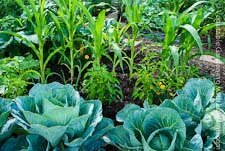 A healthy garden must be supplied with compost, whether from the store, a big backyard compost bin, or a worm composting bin outside or indoors. It may be hard to believe, but a properly balanced and healthy worm composting operation has almost no smell and can be easily kept in the garage, basement, or even kitchen. It does need a fairly stable temperature. My worm bin is on our enclosed front porch, and is made of two stacking Rubbermaid tubs, a 14-gallon one on the bottom (without its lid), and a 10-gallon one nestled inside that, resting on bricks in the bottom of the larger one. The top one has its lid. I bought both tubs for a total of $15. at Home Depot. Constructing the worm composting bin is a snap. I drilled a bunch of 1/8" holes in the bottom of the upper bin for drainage, as well as some 3/8" holes around the upper sides for aeration. At first I lined the bottom with an old piece of shade cloth so the worms wouldn't fall out the holes, but they crawled right through the tiny mesh of the cloth anyway. Only an occasional worm drops itself through the hole into the lower bin. If you'd like to just buy a worm bin ready-made, the Rolls Royce of worm bins (which I highly recommend) is the Worm Factory™. It makes harvesting worm castings much easier than in a single-bin system. When you put fresh bedding and food in the uppermost bin, the worms move up, vacating the chambers below, which you can then harvest without having to pick the worms out. Don’t set up your worm composting system near anything that vibrates, like a refrigerator, chest freezer or clothes dryer. Worms are disturbed by vibration and movement, and they don’t like light or noise. Also find a place that stays at a fairly even temperature. Worms need to stay between about 55 and 77 degrees - and if it gets over 84 degrees, they will die! If you decide to make a large outdoor worm bin, make sure it is insulated enough to stay within this temperature range year-round. Great combinations can include straw, shredded newspaper (but not the shiny colored pages), the output of your office paper shredder, crumbled dried leaves, tiny wood chips or sawdust from woodworking machines, dried alfalfa or grass hay, or shredded brown paper bags. Just make sure the materials you use comply with the rules above. 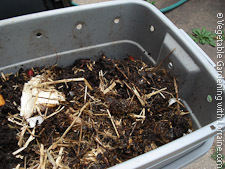 Fill your worm composting bin about ¾ full with the bedding mix. Add water a bit at a time while mixing, until the whole mix is about as wet as a wrung-out sponge. When it’s all mixed and evenly moist, sprinkle on a handful or two of the best garden soil you’ve got and toss the mix again. Over time, I've found that too much water is more of a problem than not enough. The contents of the worm bin will get wetter and wetter each time you feed them, so add some fresh bedding once in awhile too to keep the worm bedding from getting too soggy. A bit farther on I'll tell you how to refresh your whole bin when it's getting "ripe". Your comfy new worm condo is now ready for tenants. There are many species of worms available, but red wigglers are the most popular because they’re the best performers in worm bins. They aren’t too fussy, they work and reproduce like crazy, and they love their job. Don’t try to domesticate night crawlers -- despite the fact that they like to come out and party at night, they are deep-soil dwellers, and will not like living in a bin. 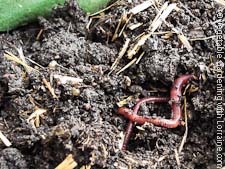 As for outdoor garden worms... they may all look alike, but you’ll dig up a variety of species which may not like being employed by a worm composting master. To find a supplier of red wigglers, I would suggest first doing a little local internet research to see if anyone in your area has earthworms to give away or sell. Try “worm composting your city”, look for local community garden organizations, or even check Freecycle.org or Craigslist. Healthy happy worms eat about half their weight in veggie scraps per day. When I started, I just got a couple of pitchforks full of bedding, food, and worms from the worm composting operation at The Urban Farm here in Denver, and I adjusted what I fed them based on how much they had left over at the end of the week. Lots of food left over at the end of the week: cut back. No food left: feed them more. By intentionally giving them a bit more than what they can eat, or a bit less than what they need, you can “force” your population numbers up or down, within reason. Of course you also need to supply them space and bedding to match. But if their other needs are being provided, they will multiply or die off to match their supply of food. 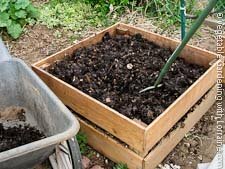 Alternatively, rather than forcing your worm population to match your scraps output, you can expand or contract the size of your worm composting system. So now, it’s lunchtime. Mentally divide your Rubbermaid tub into four imaginary quadrants. Worms don’t like to be disturbed, so you will only feed them once a week. Feed one section each week, going clockwise. Pull back the bedding on the quadrant you’re going to feed, to about 2 inches down. Lay the food down on the cleared area, and then pull the bedding back over it. Mark the quadrant you just fed by sticking in a twig so you remember where you left off next time you feed the worms.It will take a month to go around and feed the whole bin, one quadrant each week, and by the time you get back to the first quadrant, most of the food you left there a month ago should have been eaten. If it isn’t, you are feeding them too much. When you are first starting out, check in on the worms every two or three days to make sure the water and food levels are okay. Be careful not to let them dry out or starve, or to overfeed them, which will cause rotting and odor. Over time, the stuff you’re feeding your worms, as well as the bedding itself, will start to look less and less like veggie scraps, wood chips and newspaper and more and more like finished worm castings. This is a good thing for you, but not such a good thing for the worms. From your perspective, you see beautiful finished worm castings to enrich your garden, but from the worms perspective, they are now moving around in their own poop, which is becoming toxic to them. It’s time to harvest and renew the bin. There are several ways to go about this, but for a small, single-bin operation, I do the following: I go too long between feedings, maybe two weeks, and then on feeding day I gently smush the entire contents of the worm bin over to one side of the tub. I mix up a particularly attractive new batch of bedding and food (half rotted leaves or straw, coffee grounds, and fresh finely chopped veggie scraps), and put it in the now-empty side of the bin. Within the next two weeks most of the worms will have moved over to the new food source, and I can harvest the old side of the tub, picking out any worms I find and putting them in the new stuff. If I really have too many worms, I list them on our local worm composting trading site: “free to a good home”. Another way to harvest is to cut a piece of window screen the size of the surface of your worm bin and lay it on the surface, then pile on a bunch of banana peels, sliced apples, cantaloupe rinds, or other nummy worm food. Over the next week or so most of the worms will be on top of the screen chomping on the food, and you can harvest the worm casting from down below, and then refresh the bin with new bedding. 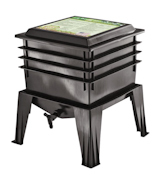 You might also like to visit my friend Stephan over at Worm Composting Help. He has a passion for worm composting and has some good ideas. Vermicomposting is an interactive, collaborative venture between you and the noble earthworm. It doesn’t take a lot time or effort, but it does take ongoing awareness and willingness to check in with the worms every week or so, see how their work is going, and attend to their needs, be that fresh bedding, food, or cleaning/harvesting. 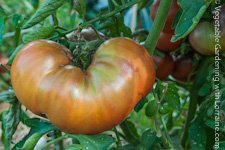 Gardening magazines are always packed with glamorous photos of buxom tomatoes, the hottest flower varieties, and gleaming teak garden furniture. Worm bins and compost piles don’t get much cover press, but they are the foundation upon which that bountiful harvest, indeed life on Planet Earth, rests. Long live the Earthworm People!